What does your Christmas tree reveal about you? Is it beautifully colour co-ordinated, reflecting this year’s home decorating trends? Mine is far from being a work of art but it is full of decorations that tell a story. The oldest decorations are nearly seventy years old and date from when my parents first married. 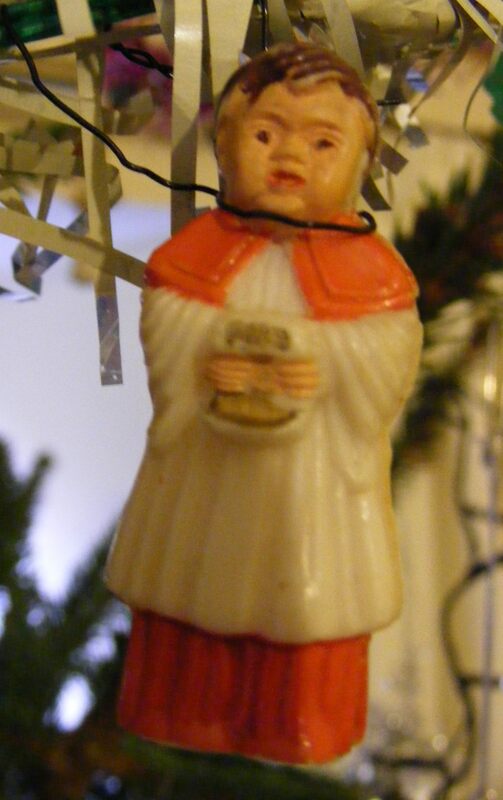 This rather scary looking choir boy has been on family Christmas trees since 1947. He is actually a cake decoration, which is why he is garrotted by wire in order to be hung on the tree. Then there are the two plastic birds, one green and one red. They, I believe, were originally my grandmother’s. Although they are not budgerigars, to me they were always representative of the budgies that the family owned over the years. They always have to be hung with a red or green light behind them. 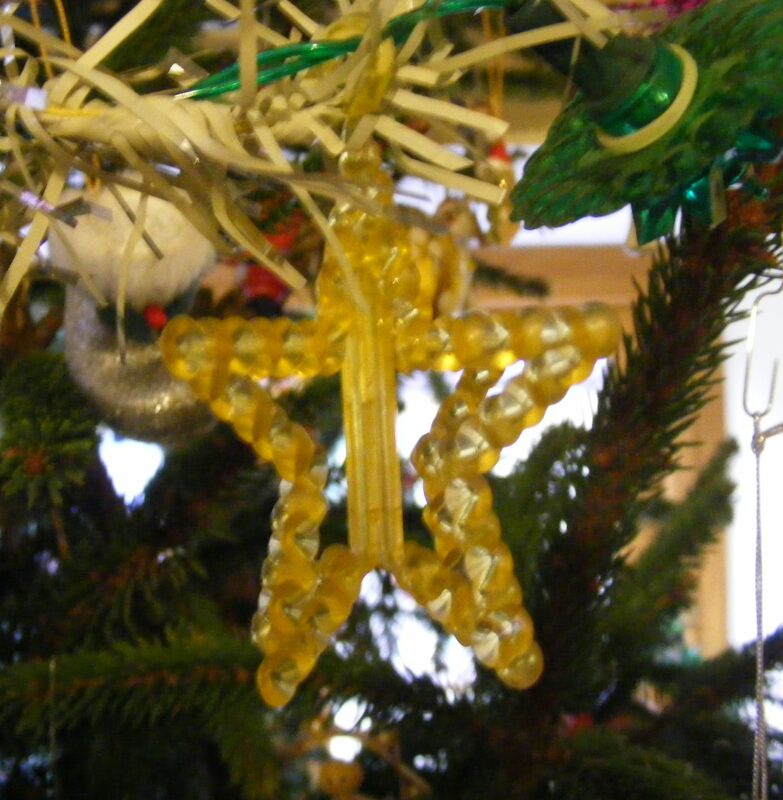 Of the same era are the yellow plastic angel and a similar pink star and bell, again always hung by the appropriate coloured light. They came with a set of stars and snow flakes. These consist of two halves so that they can slot together to form a three dimensional decoration. Over the years, some of the halves have been broken so we can no longer always match the colours but they are still precious. 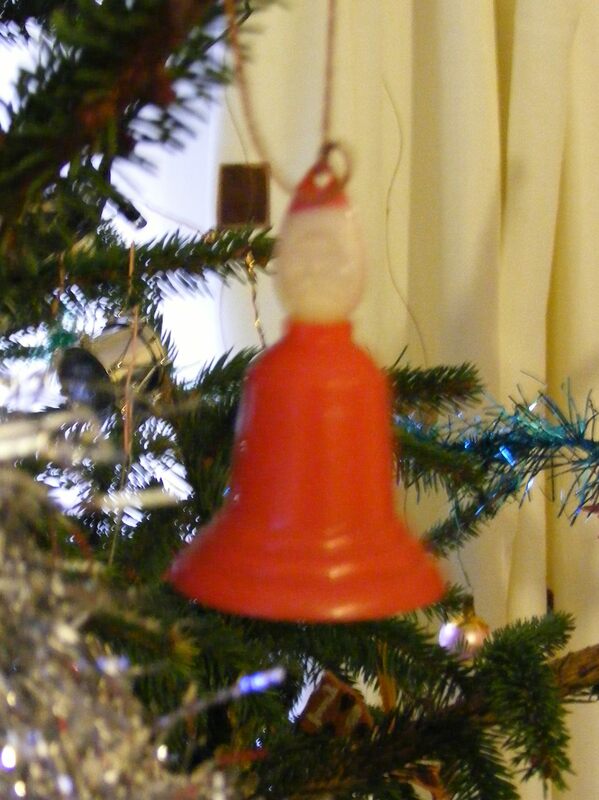 There are also a set of plastic bells that no one could claim were anything other than decidedly naff. They are special too as my mum and then I, when I took over sole charge of tree decorating at the age of eleven, have hung them on our trees for six decades. 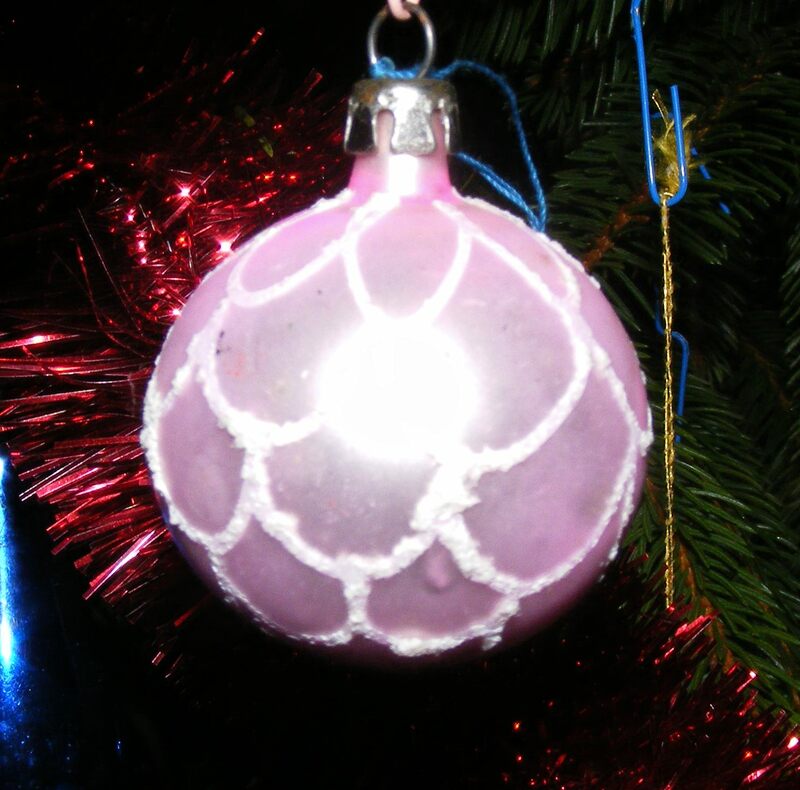 Baubles from the 1940s and 1950s still adorn my tree. My favourites were those with butterflies on and I still have those. They did meet with a disaster one year when a particularly resinous tree made them unpleasantly sticky and threatened to remove their paint. 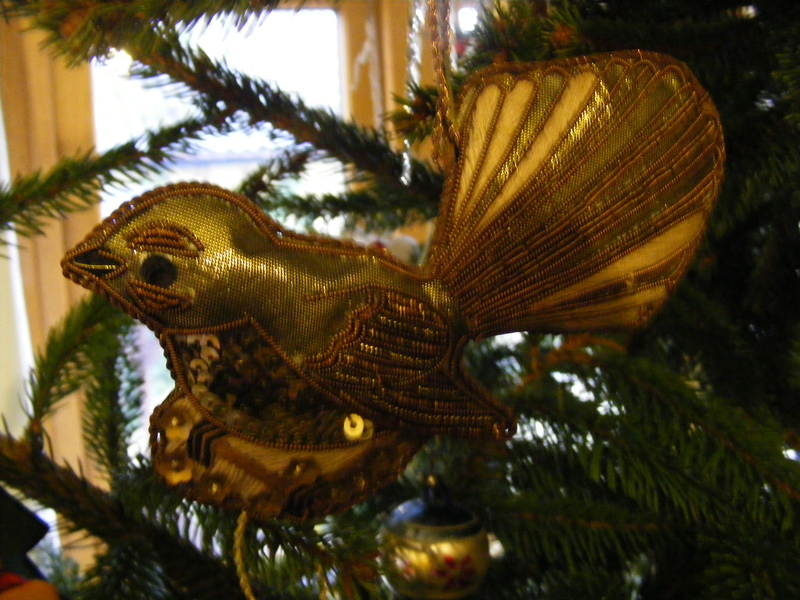 I did buy some similar ones from ebay just in case they were lost to me for ever but they were still on the tree this year. 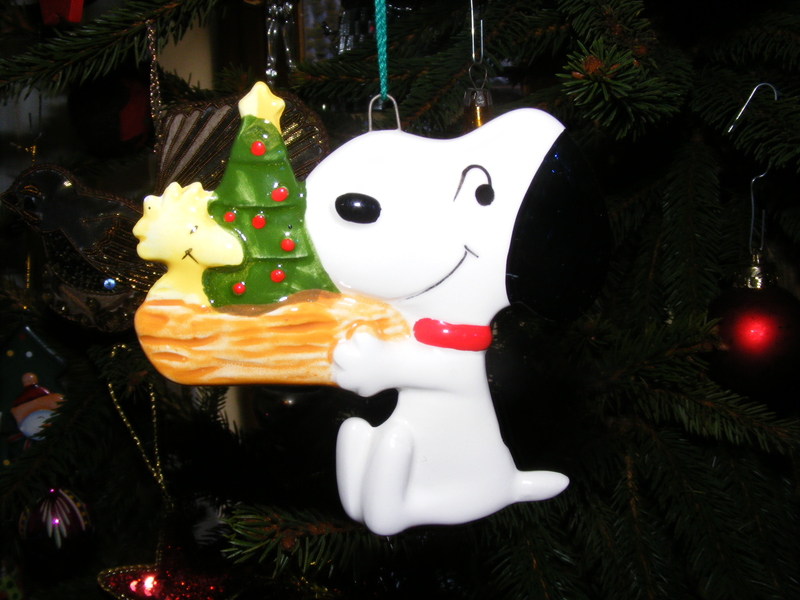 From the 1970s, my fondness for Snoopy shines from my tree. There are decorations from my early married life and from the years since. My daughters have taken the precious-to-them decorations to add to their own trees now but we frequently add to our collections by decorating parcels with tree ornaments. 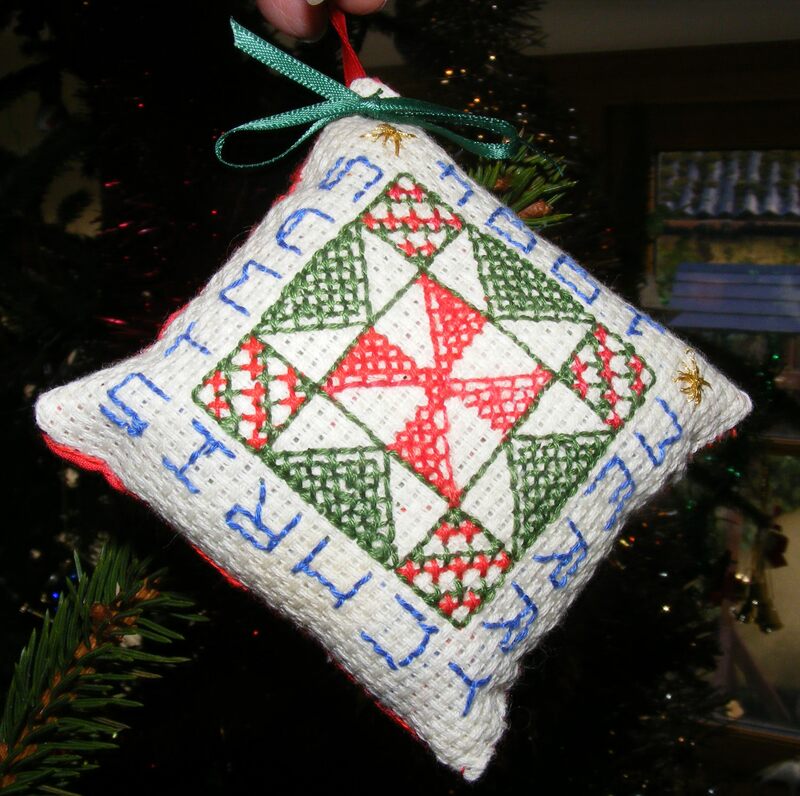 I have cross stitch decorations worked by my mother and daughters. 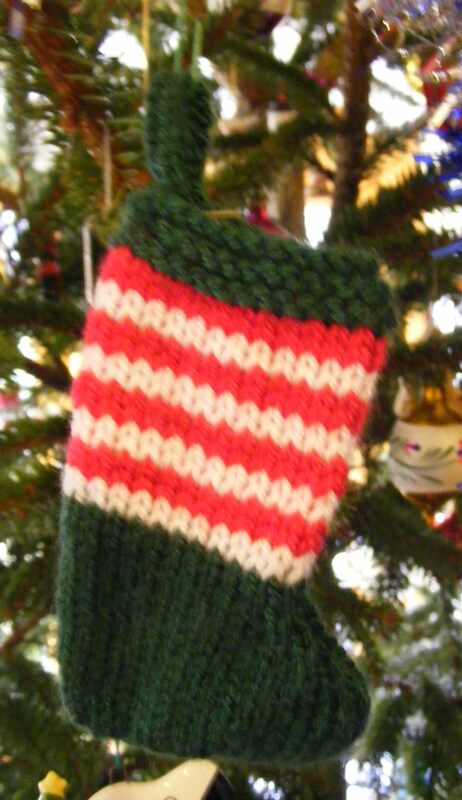 There are hand knitted decorations and others that have been hand made. 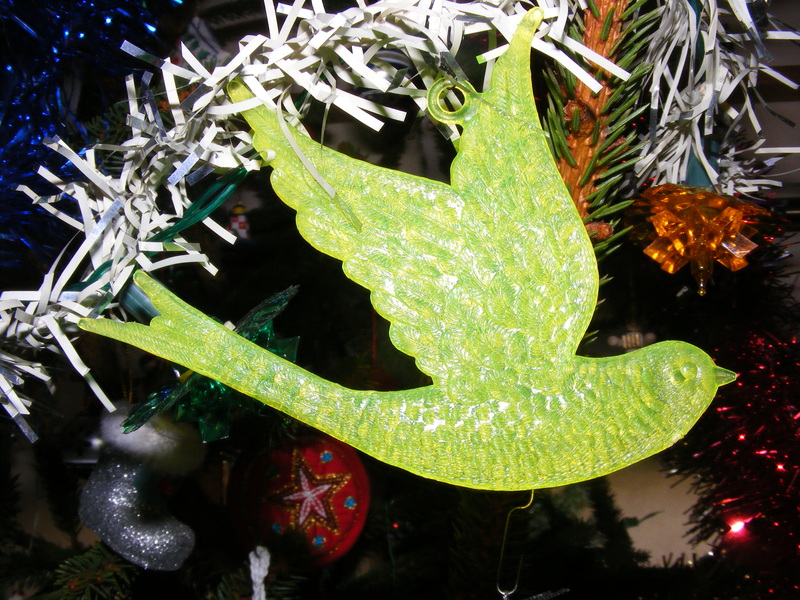 More recently, I have taken to bringing back tree decorations from my foreign travels. 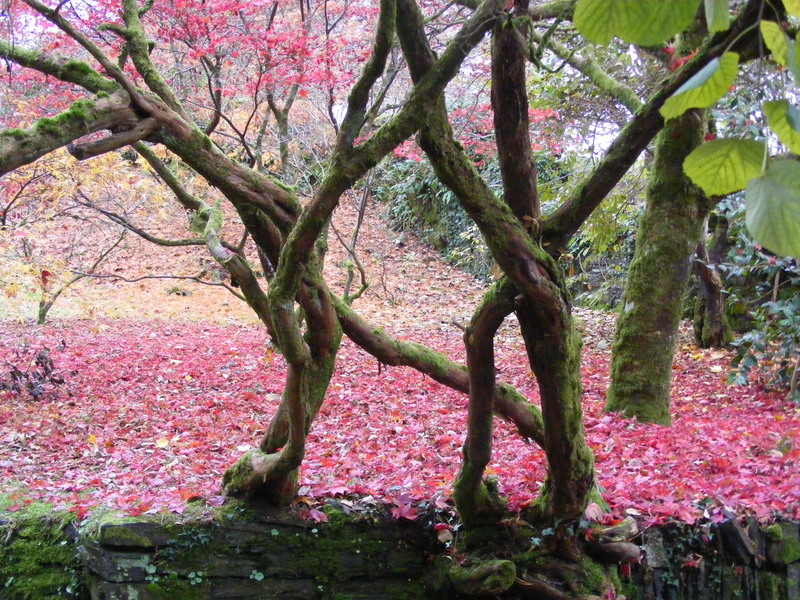 There are the decorations that have not stood the test of time but they live on in memory. There was the set of decorations whose stomachs consisted of concertinared paper and similar large balls and bells. There was the ‘Korky’ balloon, with a red nose, that was carefully inflated and tied with string, to be let down and re-inflated over a period of about eight Christmas seasons. Equally precious were the rainbow painted balloons. There were paper Chinese lanterns, which I do still have but which don’t very often make it to the tree anymore as they are now very fragile. These made the Christmases of my childhood a magical place. So there you have my family’s history on a Christmas Tree. I do need a very large tree to hold them all but they have to be displayed each year. I am looking forward to sharing the significance of each precious ornament with my grandchildren. 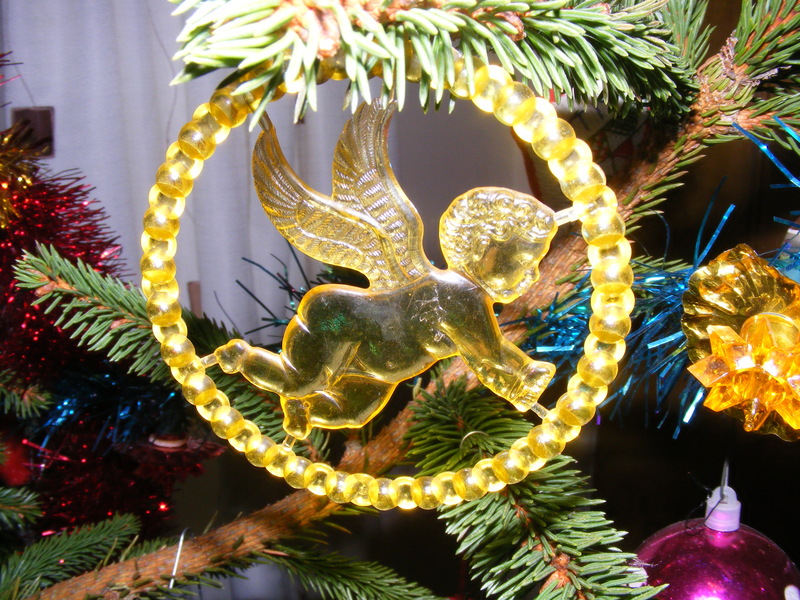 The story goes on as I have got my new granddaughter a special Christmas angel that I hope will be on her tree throughout her life. As promised, we are back to the history. Another Hangout on Air for the Society for One-Place Studies. This time I was guiding people through choosing your ‘one place’. If you are thinking about taking on this kind of research do listen in. I was just thinking I was getting the idea of all this hanging out when, half way through, I realised I had my printer plugged in instead of my snazzy headphones. It seems you can still hear me though. Whilst delving into the delights of YouTube, take a look at this amazing video of Buckland Brewer thanks to Burn the Curtain Theatre Company. I can’t believe I am lucky enough to live somewhere so beautiful. The History Group is thriving, with some exciting new projects in the wings. We have had two requests for assistance just this week. I have been following up on the descendants of those who lost their lives in the Clovelly fishing fleet in 1838. I have managed to find two more with Braund connections. Philip Cowel of Hartland led me a bit of a dance, until I discovered that he was also called Curtis. His daughter married a Braund. James Kelly of Appledore had a son James Kelly Cook who married a Braund – they just get everywhere. Two talks for Mistress Agnes this week and a lovely time with the ladies of Christchurch, Barnstaple and the history society in Chulmleigh, although Mistress Agnes was very wary in the latter as she heard that the Parliamentarian army was passing through. At last, a publication date for Family Historians’ Enquire Within January I’m afraid so too late for Santa this year but always an option for spending your Christmas money! Ok, ok, I know I said it would be ready for Christmas but be fair, I didn’t say which Christmas. The typeset proofs for Putting Your Ancestors in their Place have arrived, which is very exciting but not looking forward to spending Christmas indexing. For those who have brains to tax and minutes to fill over the holiday season do try the charity Christmas Puzzle. I have managed page one with Martha’s help – now for the rest. I have been visiting my offspring and grand offspring. Visiting Martha involved multiple trips up and down stairs emptying four six foot high bookcases that were upstairs and then moving them and their contents downstairs to be reloaded. I would complain except she gets the book acquisition and bookcase moving gene from me. Then a train trip from Martha to Rebecca’s. Oooh free wifi – it is a while since I’ve been on a train. Some mechanical fault with my laptop means that it makes a VERY loud, potentially terminal, whirring sound for about ten minutes when I first turn it on. I look round trying to pretend the noise is coming from elsewhere and hoping the train will start soon so that it is less noticeable. Unfortunately, trains have got a lot quieter lately so it doesn’t help much and my 15 minutes of free wifi only just exceeds the time taken for the laptop to cease whirring. Whilst with Rebecca, we take Lucy to a Christmas wreath making session. 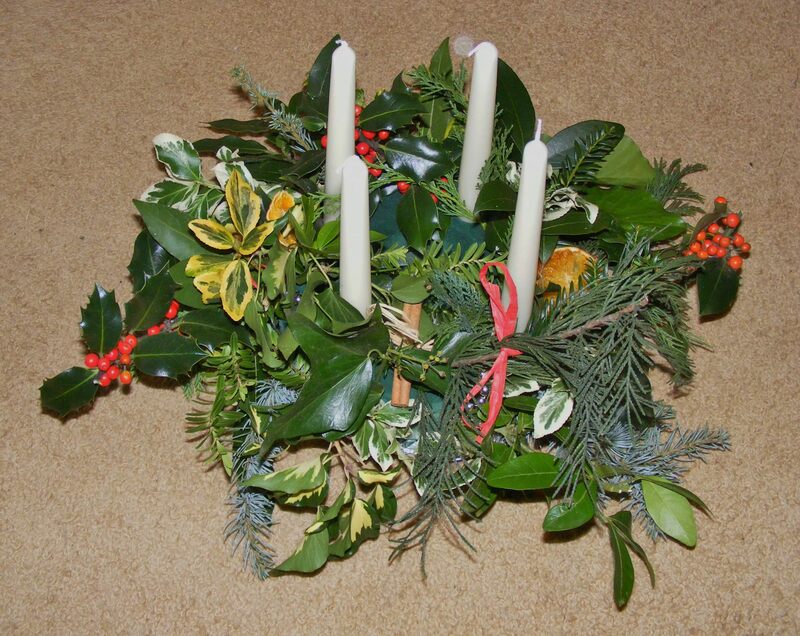 She can’t quite manage to make her own sadly but we wreath make away. I have gone for a non-symmetrical rather expansive design. It is much larger in circumference than anyone else’s. Ah, we have to get these wreaths and Lucy in her sling back on the bus mmmm. I give mine a substantial trim but it still isn’t going to be easy. At the bus stop there is a computerised list of when the next buses might arrive and a button inviting us to press for bus information. Thinking that this will revitalise the list we do so. What actually happens is that the bus stop then ‘reads’ the information in embarrassingly loud tones and at great length. As if I wasn’t conspicuous enough with a wreath balanced in each hand. It is also quite difficult to laugh whilst wreath holding. Time to leave and bad weather means trains are disrupted. The received wisdom is that one can get no further north than Newcastle. That is ok, if I end up in Newcastle I am seriously lost. I manage to negotiate my way across London. I have for some reason not brought luggage with wheels and I also have the full sized laptop as opposed to the netbook. Why? Sorry I have no idea. I think it is called not thinking things through. It is a fair old hike across what purports to be the same station to get from the overground to the circle line but I am in plenty of time and one of the first on the train for Exeter. I do have a reserved seat just as well as the train is packed. I discover that the downside of being early for the train is that my bag, containing food and drink, is now irretrievably buried under a million other bags. In fact there are so many bags that won’t fit on the luggage rack that they are strewn everywhere, causing the automatic doors, by which I am sitting, to be chillily permanently open. I manage to get the last seat on the equally crowded train to Barnstaple. It is mid afternoon so not even remotely rush hour but still there is no room to move. Here I have to balance both my bags on my lap for the whole journey, cutting off all blood supply to my feet. Oh the joys of travelling. I have done all my Christmas shopping. In fact I am so enthusiastic I seem to have done some of it twice. At least, Amazon have sent it twice – oh drat it is my fault. I investigate the sending thing back because you are an idiot options. The cheapest option is to take it to a collection point – that’s bound to be a million miles from darkest Devon. Actually no, 3 options within 7 miles hurrah. It is Christmas Puzzle time again. Be ‘entertained’ and frustrated in equal measure, whilst donating to charity at the same time. More history soon, I promise. Christmas preparations time and I have my tree early this year. Ok, so I admit it, it was slightly larger than my house. There is photographic evidence of it being bent round the three foot square that is my ‘hall’ and in to the living room. I debated starting a trend for horizontal Christmas trees but couldn’t face a month of not having any floor space so had to turn the living room into a wood yard. An interesting exercise, trying to saw the bottom off a Christmas tree once it is indoors. In fact I am sure I did mutter something along the lines of ‘why don’t we saw the bottom off it before we take it in?’ but maybe I didn’t mutter quite loudly enough. It is now in place and partly decorated. I do seem to have neglected to find the tinsel during my foray into the loft to unearth the decorations but that can be rectified, providing of course that the pipe lagging eating rodent that has been inhabiting my loft doesn’t fancy tinsel for dessert. I have been making Christmas cake and puddings, oh and chutney. These are officially the only things that I can cook. Went well except I did keep wondering why the mixer wouldn’t work, only to find that hadn’t plugged it in. In my defence, this may have been after I had consumed the remainder of the can of barley wine, having taken out the small amount required for the pudding. Then there was the strange incident with the kettle. I have had this ‘on the Rayburn’ kettle for a while. It does have a – very stiff – lid but I normally fill it down the spout. Strangely, when I poured water out of it, it was accompanied by bits of paper. Fortunately I was pouring hot water into the sink and not into someone’s tea at the time. Further investigation revealed that I had been using the kettle for some time without having removed the handily provided instructions from its innerds. The first line of said instructions was probably something along the lines of ‘remove these instructions from your kettle’. If they hadn’t been reduced to soggy pieces I could have told you. I remember firing up my first computer only to be greeted by Mr Hewlett Packard telling me how to get my computer out of its box – similar sort of thing really. 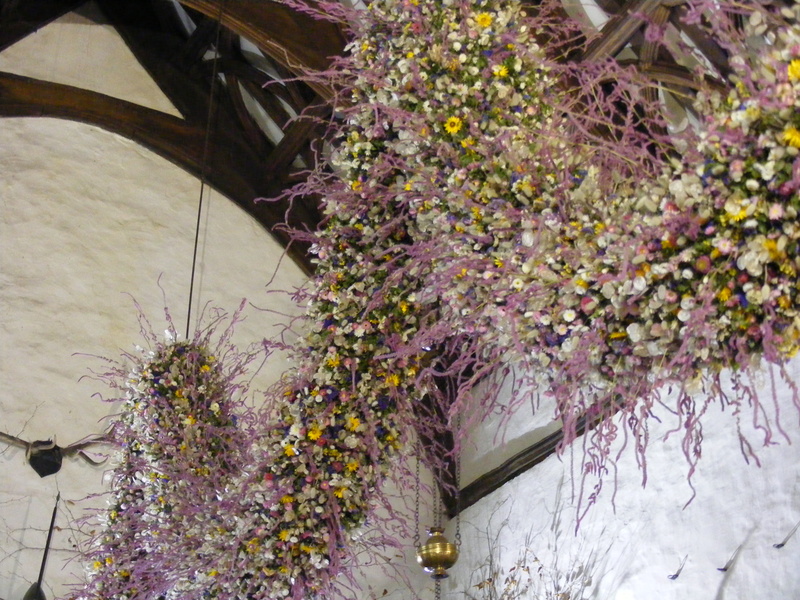 Then there was the trip with Martha to Cotehele to see the Christmas garland. This involved putting petrol in the car. Be kind to me, I haven’t had this car all that long. I drove up to the pump and yes I even had the right side of the car nearest the pump. I nonchalantly fiddled with the key to the petrol cap, for a very long time, without success. I looked round furtively and then drove off with no more petrol than when I’d arrived, hoping I wasn’t caught on CCTV and about to be done for driving away. Not that I had driven away with anything of course. 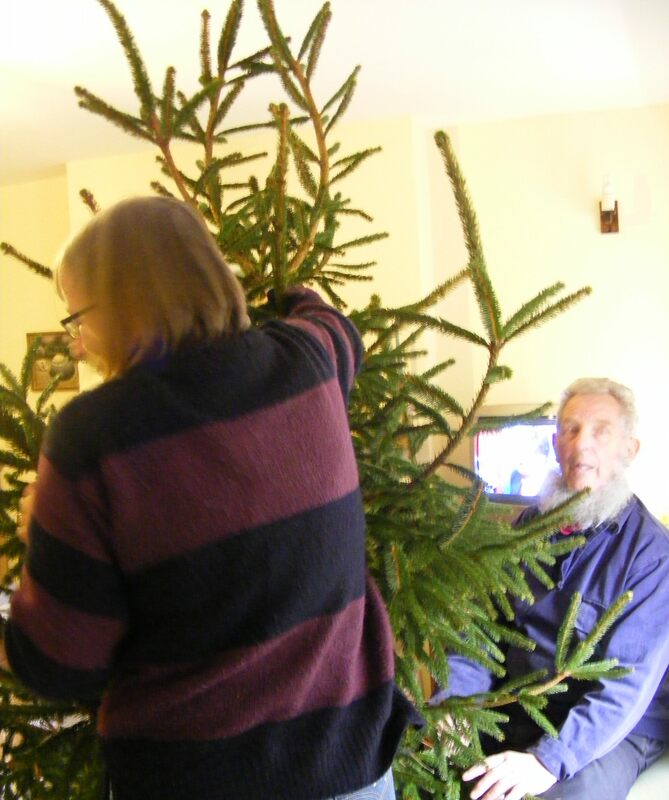 Fortunately Martha fixed the problem – just required more brute force than I was using.